The civil lawsuit is the heart of a business owner's relationship with his or her attorney. Business owners face the threat of civil claims from or against vendors, employees and former employees, customers, and visitors. No matter how careful you are to prevent it, when a complaint is made, you need a law firm ready and able to respond. Business owners depend on the predictable creation and completion of contracts. When things don't go as planned, you face the risk of a civil lawsuit for breach of contract. A contract lawsuit can be a tool to hold your vendors and employees to their agreements. At the same time, a strong civil defense strategy can be a shield to protect your business from claims that you fell short of expectations. Fisher Law Office can help you assess contract violations and decide the best strategy to deal with a breach of contract civil lawsuit. When an employment relationship breaks down, it can leave your company vulnerable to the loss of intellectual property, trade secrets, or customer lists. A disgruntled employee can create havoc online, on social media, or in your local community by spreading negative or false information about your company. 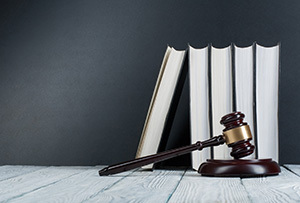 When an ex-employee ignores your non-compete agreement or non-disparagement clauses in your employee handbook, you may need to file a civil lawsuit to protect your ongoing business interests. Attorney Peter Fisher can help you enforce your employment agreements in court so that an ex-employee doesn't become an ongoing problem. A construction lien may be the only realistic opportunity for Florida's construction contractors, subcontractors and business owners to receive payments for their work. On the flip side of that coin, homeowners faced with a construction lien recorded against their residence or homestead may find it an obstacle to sell or refinance the property. Establishing and enforcing a valid construction lien through a lawsuit in state court is a complicated process in Florida. For 8 years, Attorney Peter Fisher has been helping contractors in Florida and Massachusetts establish their liens and take appropriate steps to enforce them through civil lawsuits. He has also helped numerous homeowners defend against improperly-recorded, and sometimes fraudulent, construction liens. Whether you are a contractor or a property owner, Attorney Fisher can help you navigate through the complex Florida Construction Lien laws by understanding the law, investigating claims, and prosecuting or defending your construction lien claim in civil court. Just because a civil lawsuit is filed doesn't mean you are destined for a long, drawn out legal battle. Most complaints filed in State and Federal court settle without a trial. Attorney Peter Fisher knows how to make the most of alternative dispute resolution alternatives, like mediation or arbitration, and will protect your privacy and your bottom line. He will meet with you to discuss your civil litigation options, both in and out of court, and help you determine the best litigation strategy for you or your business. Whether you are filing the complaint or defending against an unexpected civil lawsuit, you need a litigation attorney to help you through the process and represent your interests in court. From small contract claims to complex disputes relating to construction liens or defects, Fisher Law can stand beside you and help you fight for the company's assets. Contact Fisher Law today to meet with Attorney Peter Fisher and prepare for your next court hearing.